Spider-Man: Homecoming 2 Shooting Earlier Than Expected? Sony's Spider-Man: Homecoming 2 is getting ready for production, with a report from earlier this month claiming that production starts in Berlin this June, although no exact date has been given. Today another report has surfaced which does claim to have an exact production start date, which is Monday, May 28, although that has yet to be confirmed by Marvel Studios at this time. This new report also adds that the production may take place in, "in either Germany or the UK," which has lead to speculation that, during his junior year of high school, Peter Parker (Tom Holland) may be spending a semester abroad. It also isn't known if the Germany locations could tie into Peter's first trip to the country, at the Leipzig/Halle airport during the iconic battle in Captain America: Civil War. Fans got to see some of the lead-up to Spidey's iconic introduction in the early scenes of last year's Spider-Man: Homecoming, through the video diary that Peter Parker was recording during the trip. There has been speculation that this movie could feature Ned Leeds' (Jacob Batalon) transformation into the Hobgoblin, which is one of the few Spidey comic stories that is set in Berlin, but that seems to be a bit far off as of now. While these locations could mean Peter is studying abroad, they could also be an indication of where the final battle of Avengers 4 takes place. Marvel Studios president Kevin Feige confirmed in July, just ahead of Spider-Man: Homecoming's theatrical release, that this sequel will be the first Marvel Phase 4 movie, which will explore the aftermath of Avengers 4. 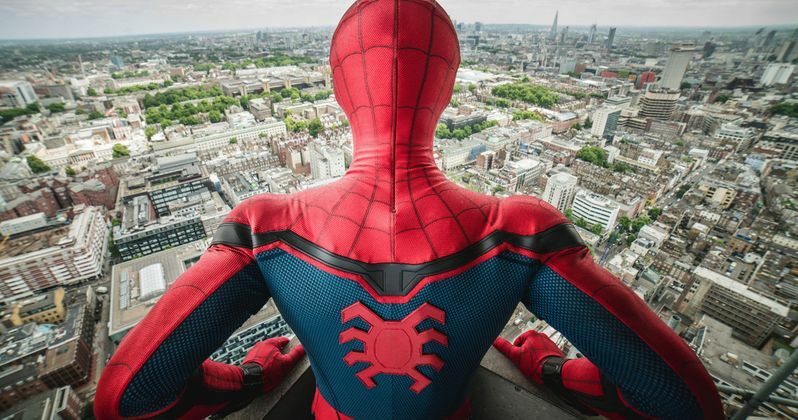 Producer Amy Pascal also added that the movie starts, "a few minutes after Avengers 4 wraps as a story," so it's possible that these U.K. and Germany locations for Spider-Man: Homecoming 2 are used for scenes set directly after the Avengers 4 battles, which could then segue back to Peter Parker returning back to New York to go back to school. No details about the U.K. and Germany shoots have been revealed yet, but there has been another interesting theory that has surfaced. Last month, an audition tape leaked that indicated Gwen Stacy was going to be brought into this new franchise, with a French actress reading for the part. This lead to many theories that this new Gwen Stacy could be a European, which could lend more credence to rumors of Peter Parker studying abroad for a semester, or perhaps the whole school year. It's possible that this move to Europe may have been done for young Peter's safety, in the fallout of the Avengers 4 battles. Still, the notion of a character as iconic as Gwen Stacy becoming a European instead of a native New Yorker may be a hard pill for some Spidey fans to swallow. Back in November, Oscar winner J.K. Simmons, who originated the role of The Daily Bugle editor J. Jonah Jameson in Sam Raimi's original Spider-Man trilogy, hinted in an interview that he would be open to returning as Jameson, while adding that he had an amazing time working with Sam Raimi and star Tobey Maguire. Spider-Man: Homecoming director Jon Watts is returning to the helm for Spider-Man: Homecoming 2, with Spider-Man: Homecoming writers Chris McKenna and Erik Sommers returning to write the screenplay. This report first surfaced at That Hashtag Show.